Six modern retail destinations approved by Dwell editors, from a blanket store in Frankfurt to a Japanese-Scandinavian product mix in Toronto. At their Buenos Aires shop Calma Chicha, a couple reissues classic Argentine designs—and moves the regional furniture design field forward, one “simple object” at a time. Nestled in behind a small glass storefront in central Frankfurt is a one-of-a-kind throw utopia. 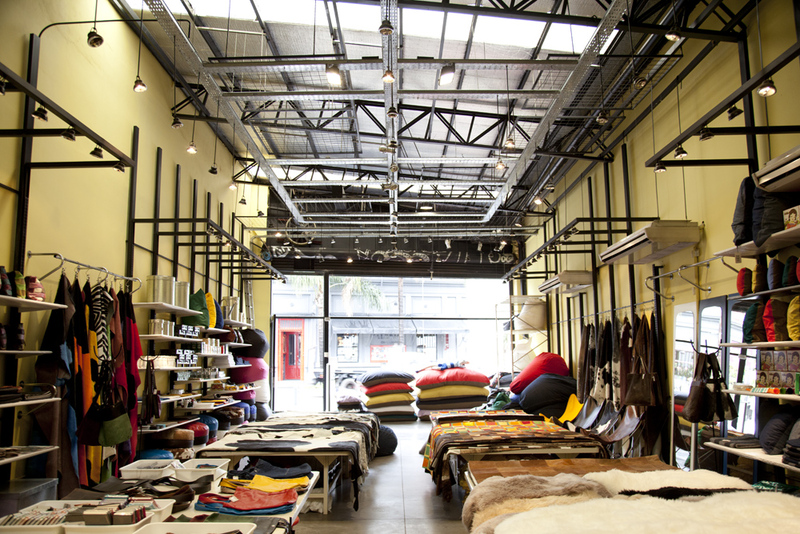 Blanket Store is a niche boutique dedicated to—yes, you guessed it—blankets, and owner Natalie Gray has found inventory that’s stitched, knit, and woven around the world. Got Mjölk? This Canadian duo searches out top Scandinavian and Japanese designs and brings their best finds back to this Toronto shop. Building a community around design was important for its owners, and ReForm School in Los Angeles has become a Silver Lake institution promoting craft and artisan goods. Portland-based retailer Table of Contents hits all the right notes. A modern purveyor of objects and clothing from Rason Jens, Lostine, and Martino Gamper to Henrik Vibskov, Patrik Ervell, and Beatrice Valenzuela, respectively, Table of Contents opened late last year by two local designers, Joseph Magliaro and Shu Hung. Potrero Hill design showroom Supernatural is a minimalist, beautifully curated 2,000-square-foot showroom thatspotlights hard-to-find European design and doubles as the home base for the interior design firm Claudia Mahecha Design. Photo by Ali Kate Cherkis.